This is a homebred mare with exceptional breeding. She is over 3/4 TB and stands 17hh born in 2006. Her father is the well-known Classic (TB). He has sired high-level eventers for example Classic Moet who has been placed at badminton and Burghley. He is also a prolific sire of successful Show horses. Her Mother was bred by Sam Barr at the Welton stud and was one of the last Welton Crackerjack foals out of an Italian TB. Indie has competed successfully in all affiliated disciplines. In eventing she has been to the RC nationals twice where she was placed both times and once on the winning team. When she was young, she won numerous ridden horse classes and was highlighted for her excellent proportions. She has competed and won in BD up to elementary level. We had intended on putting her back into work to progress up the levels in dressage, as she has great half pass and flying changes, and be a schoolmistress eventer for our teenage daughter. As a broodmare Indie has bred 2 beautiful foals by our young, SHB graded, intermediate event stallion, Pennineview Silver Concorde. She has been a proficient broodmare, as she has conceived and foaled without any complications. 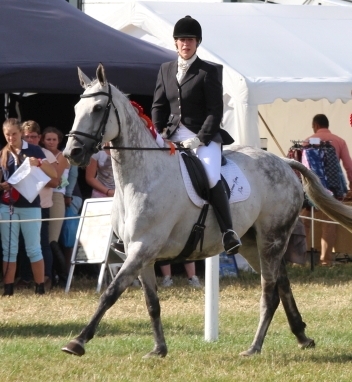 This year she was 2nd in the Bramham broodmare class but unfortunately, due to time and resource, we have not been able to do anymore shows with her or present her offspring to BEF Futurity, where they would undoubtedly excel. Just like her foals sier did in 2012 when he was 2nd to Jennie Loriston-Clarke’s 3rd generation youngstock in the National 3yo BEF eventing youngstock finals. As she is still a young broodmare, we are looking for a price to cover the foal and the fact that the mare could still be a great schoolmistress for eventing, go far higher at dressage or just have many more fabulous foals. She is currently in foal to Z Concorde this year who is by Concorde out of a Ramiro Z mare. He is the sire of PennineView Silver Concorde ,a SHB graded stallion, and a young intermediate eventer with a great future ahead of him. Please note that this mare was only ever in foal as I had a baby myself in 2016. There may be options to loan the mare if you are local and have the foal, please contact us for more details. If any mare could breed a 4 * horse it will be this mare. She is a big strong well put together mare with effortless speed and stamina with exceptional loose paces! These genes combined with great breeding from any proven event stallion are sure to make a future winner in the modern world of eventing. Date of covering 29th May, 2017. Approx date foaling 7th May 2018.